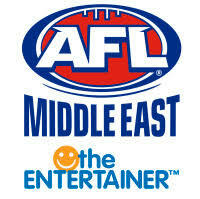 The AFLME initially approached the Giants whilst it also approached other organisations to help bolster its position in the region as a growing sport. The Giants were very receptive of the idea and keys areas were agreed upon. The intention is to seek as many avenues as possible from both parties to further enhance the relationship. 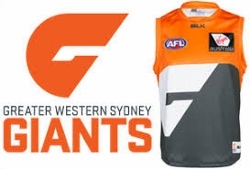 Agreed Support: The giants were very receptive of the idea of supporting the AFLME and have agreed to support the league in many ways. From a League level, the club has agreed to provide their club attire including training wear and club merchandise which will be used for fundraising along with other administrative and engagement opportunities. At a junior level, the club has agreed to provide member packages which include access to the Giants junior recruit website which has many games and instructional videos for the young girls and boys to watch and learn from. They have also agreed to providing certificates and awards for the program. With the funds raised, the league will work to grow both senior and junior football in the region. The league will also improve support to pre-existing clubs within the league itself. International growth will be aimed initially at Bahrain whilst also developing a middle ground in Muscat for future fixturing. Appreciation: The league would like to thank; Lauren Francis - AFL Programmes and Community Coordinator, GWS Giants, Melissa Lambert – Community & Group Sales Executive, GWS Giants and Ali Faraj - Head of Community, GWS Giants for their initial support and we look forward to working with them in the future.